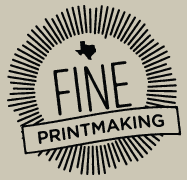 Lady Lazarus is an award winning independent print studio located in Houston, TX. Our dedicated staff of experienced printmakers and creatives are focused on producing high end silkscreened fine art editions & collectible film and music posters. We do our best to provide quality customer service with attention to detail, color, & consistency. We are here to help you produce editions in any size and get them shipped safely worldwide. In addition to our wholesale printing services, we work with a variety of galleries, publishers, merchandise companies, illustrators, artists and musicians to license and publish contemporary fine art print editions, commemorative event posters, and limited edition rock poster series.